Reading Stephen Clarke’s great recent SCBP fitness article ‘Move naturally!’, I was compelled to write some words with regards to the science behind circus, known generally as the physical literacy of circus. If you’ve ever watched a Circus performer and wondered how they manage to accomplish those amazing aerial feats while holding onto just a bar or a bit of cloth there’s a good reason. Underneath all that Lycra us performers are usually incredibly fit and have some pretty impressive guns! When I got into Circus myself I was already fit-or so I thought- but was amazed by what a great workout you get. It's important to remember that getting (or staying) fit doesn't need to mean bashing away in a gym for hours- challenging yourself while having fun can be just as effective, and you often wont notice how hard you've been working until you wake up the next morning! As the director of Perth’s only Circus School, Adventure Circus, we recently decided to start offering our own Circus Fitness classes. By the very nature of our circus activities, we want people to be able to move more. Not only will it help us to be better and more poised in our circus skills, but by just getting up and moving, we’re already doing something which is good for us (no matter how tempting that couch looks!). Our mental health improves and it brightens up our social lives. More on that though later. As a (very former) sports scientist I've always been interested in how Circus can help physical development in children. In partnership with the Ecole National du Cirque in Montreal, Dr. Dean Kriellaars (Associate Professor in the Department of Physical Therapy, University of Manitoba) researched the impact circus skills have on physical literacy with some very encouraging results. They found in their study that children aged 11, who were given instruction in circus skills had improved upper body manipulation skills (catch & throw), lower body movement skills (hop, skip, jump etc. ), body control skills and balance. 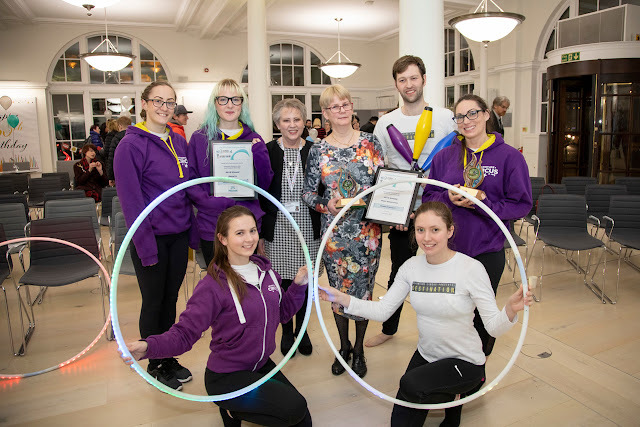 They also reported that children in circus equate the importance of movement to literacy and numeracy at school and that they value reading and writing more at school, as well as showing a trend toward importance with friends. Perhaps this is because of the trust we place in each other during our classes, and in taking calculated risks. 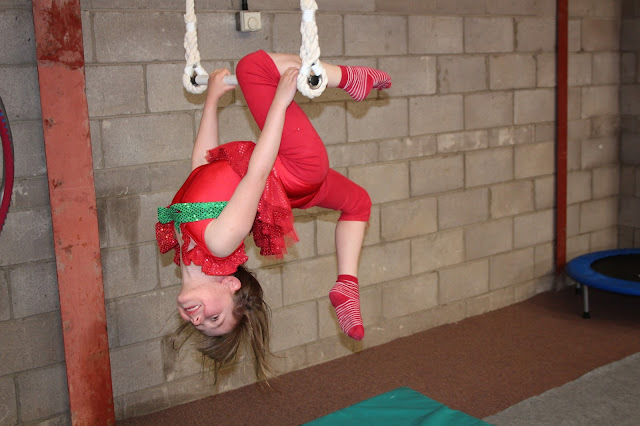 Children in circus self reported that they feel themselves to be talented, are more eager and motivated to participate (especially females), and accept the importance of learning new movements. Without the backing of scientific research behind our classes, I would certainly concur with children being eager and motivated to participate! If you are interested, you can read more about the studies here. From my own experience these benefits are evident not only in children, but also adults. In particular, the ‘circus science’ for adults focuses on using circus as a treatment technique to help people suffering from depression and anxieties. A great example, and one that I would love to explore in Perth, is the work done in London by My Aerial Home, in partnership with Status Employment. 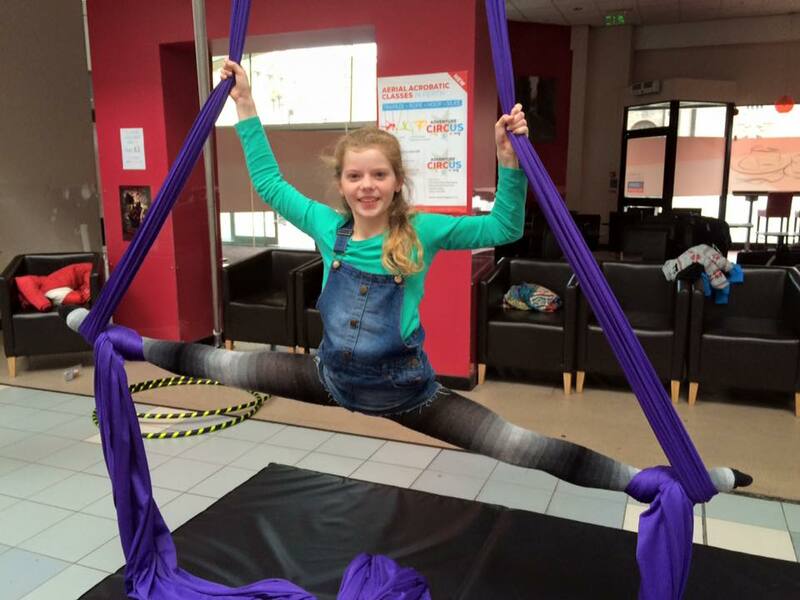 Together they offer circus classes for people with mental health problems, to help them to get back into work. Where trapeze classes differ from other forms of exercise, is their focus on strength. It requires a lot of upper body and core strength just to get up on the apparatus without assistance. If you’re feeling physically stronger, you may feel mentally stronger and getting up and over the bar in trapeze can perhaps help you get up over that bar in your life. The full article is really inspiring. You can read it here. So whatever you are looking for in sport, fitness, health or movement, perhaps you might just have found it in the circus!